Lumina is a vibrant, otherworldly light sculpture, a lustrous mass reminiscent of bioluminescent jellyfish, cosmic star clouds, and the brain’s neural networks. 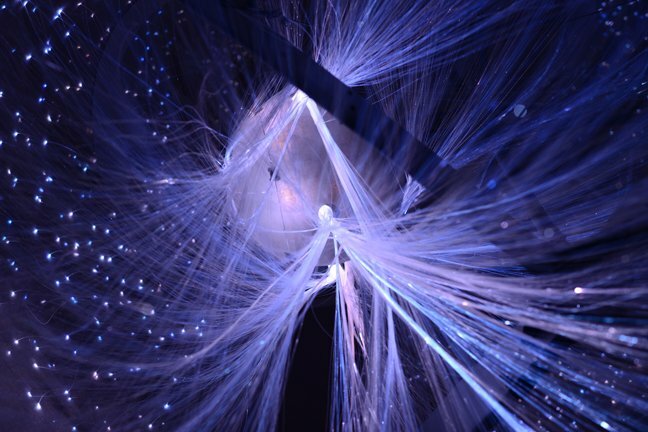 The sculpture emanates a sense of mystery as its translucent fiberglass and fiber optic strands draw hotel guests to its vivid core. Look up once inside the hotel’s three-story entrance at the corner of Third and Howard Streets.